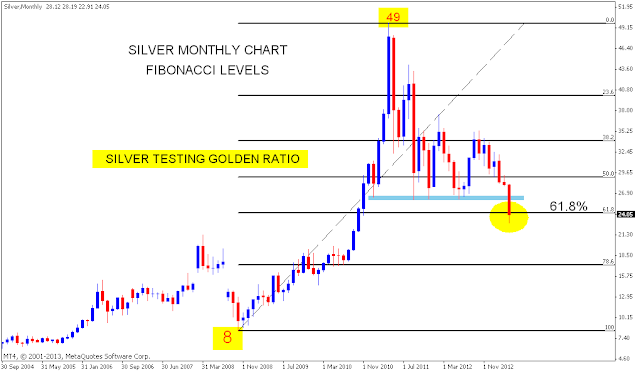 Silver weekly chart shows a bearish Descending triangle breakdown. 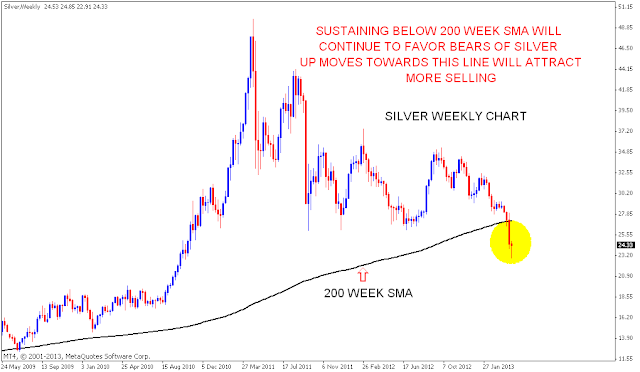 Oversold up moves if happens will find it tough to cross the broken 200 Week SMA. 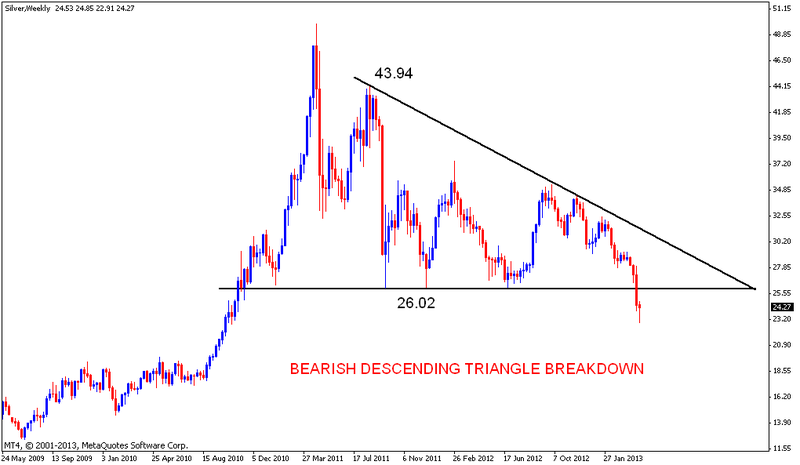 This level shown in last chart will act as stiff resistance for now.